Seven’s coverage of the Australian Open Men’s Final blitzed the ratings last night. The Federer / Nadal match pulled a huge 2.668m viewers -the highest numbers since 2006. Only three events pulled higher numbers last year, meaning the match will be one of 2017’s biggest audiences. It rose to 3.62m viewers including regional audiences. Impressively, Seven scored an incredible 54.5% network share, three times its nearest competitor. Against such pulling power, TEN’s I’m A Celebrity Get Me Out of Here managed 1.1m viewers -still a good number all being considered. But it was the lowest of its three seasons. If I was the umpire at least a hundred spectators would have been kicked out. Talk about bogans. Great result, fantastic last set, one of the best finals there has been. Fully deserved to have over half the total viewers. Even Mr Cho got in on the act. Amazing night for Seven & Tennis Australia (they couldn’t believe their bloody luck)! ~55% network share!? Is that a record David? Annoying that in 2017 Perth viewers still have to switch to seven news straight after the trophy ceremony. No post match interview in the studio. Even tried the 7tennis app and couldn’t access there. Commentators even said sorry to do this to you Perth people. Totally lame! So over tennis and watch I’m a celebrity. Really enjoyed it. What a great final between Nadal and Federra, we were glued to theTV till the very end. I am not surprised at the ratings. Well done Channel 7. Deservedly so – brilliant match, brilliant players. 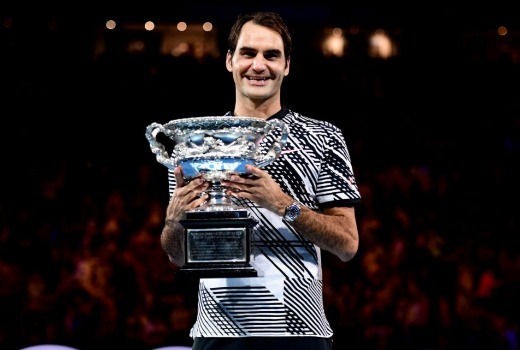 Seven have done well with the Australian Open in recent years – can remember the days of delayed telecasts outside the AEDT timezone and no multichannels let alone free streaming of all matches. As a big tennis fan I really appreciate Seven’s dedication to not only the Australian Open but the whole summer, especially given the warm up events haven’t pulled big numbers in recent years.